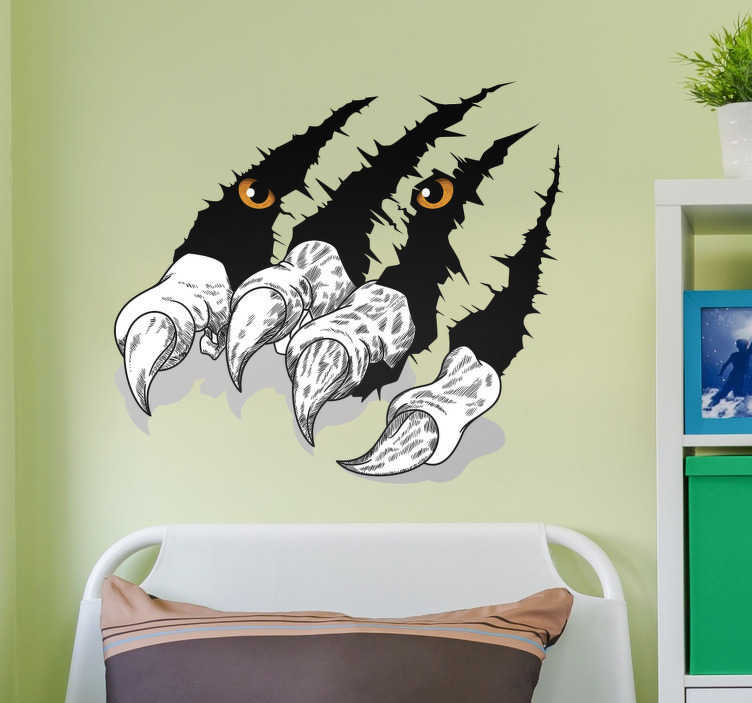 Pay tribute to the remarkable scratch of a tiger with this fantastic visual effects sticker, depicting the claw of a tiger, and the eyes inside! The tiger is one of the most magnificent creatures in the world, with some of the sharpest claws; so why not add that glamour and grace to your home with a fantastic animal sticker? !